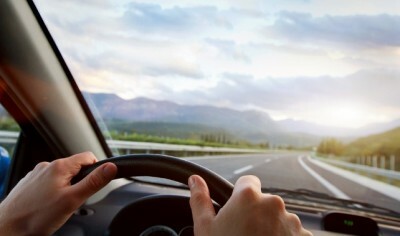 What does the road trip to your optimal health look like when you have a health coach?. Well, you’re in the driver’s seat. You select the destination, the route to get there, the pace of your travel, and when to take breaks. As your health coach I will hop in the passenger’s seat, coming along for the ride, keeping you on course, focused, motivated and supported. I can suggest alternative routes as requested and might grab the wheel if you are about to drift off. I want you to reach your destination, safely and supported. Wellness is about optimizing health and well being which can mean different things to different people. As your coach I’ll actively listen, stand alongside you and help you visualize and connect emotionally with your unique, desired state of health and well being. Although I can provide information and education, I won’t tell you what or how to do things. Instead, I will help you figure out what works best for you. Again, you are in the driver’s seat. All of Crossover’s Health Coaches are health experts, trained and experienced in addressing a wide range of health concerns such as diabetes and heart disease, nutrition, exercise, sleep, stress management, and overall self care. And a big part of being part of Crossover Health is that we also suggest and refer you to other members of the health care team right at our health center, and collaborate jointly with them to support your progress. Research validates that self-change occurs in stages. We evolve from not considering changing a behavior (“I will never eat veggies”), to thinking about it (“Maybe they’ll be good for me”), to planning for the change (“Going to the farmer’s market this week”), and testing out different approaches before we get started (“ Didn’t like the kale but I’ll try zucchini.” Health coaching can help you realize what stage you are in and will guide you to progress to the next one. Additionally, in order to move forward with a desired change you must have enough compelling reasons to do so. Jointly, we will explore your pros and cons to change. Once the “pros” of adopting a new behavior outweigh the “cons” we can start drafting a realistic game plan. Now you feel ready for change, you have your roadmap and are ready to go. What’s next? Regular check-ins. Ongoing sessions set health coaching apart from consulting, since only repeated actions can lead to lasting change. You need a bit of patience to hardwire new habits into your daily routine. I will offer genuine support to help you stay connected to your vision and goal, encourage you to stay on track, and keep you accountable. We’ll tackle roadblocks along the way and adjust your goals to be in alignment with your life’s circumstances throughout the process. Let’s hit the road – to a healthier you! Come in to Crossover to see me and see how we can make this journey to wellness together. Want to know more? I’ll be giving a presentation on health coaching on March 24th as well, and you can always reach me through your Crossover app.